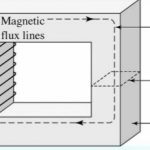 A magnetic flux is defined as the total number of magnetic lines of forces passing through a given medium, so the flux lines are the imaginary lines which indicate the directions of magnetic force. 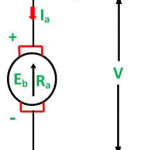 Each flux lines forms a closed circuit. 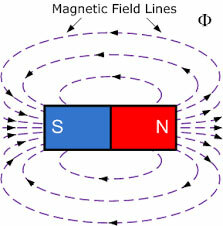 Each flux line comes out of the N-pole of the magnet and enters the S-pole after completing the external circuit. 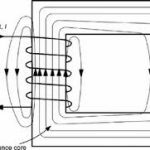 It completes the loop by passing from S and N poles through the magnet. 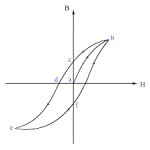 The flux lines never cross or intersect each other. The flux lines passing in the same directions repel each other and other and those passing in the opposite directions attract each other. The flux lines behave just like the curved elastic bands trying to become straight and as short as possible.